MGM-Varvel Power Transmission Pvt. Ltd. has been supplying top quality, high precision, Italian made, mechanical engineering products to Indian manufacturers since 2011. The joint venture can rely on the combined expertise of the two leading Italian companies behind it: Varvel SpA and MGM Motori Elettrici SpA, specialists in power transmission systems and electric motors (especially self-breaking) respectively. 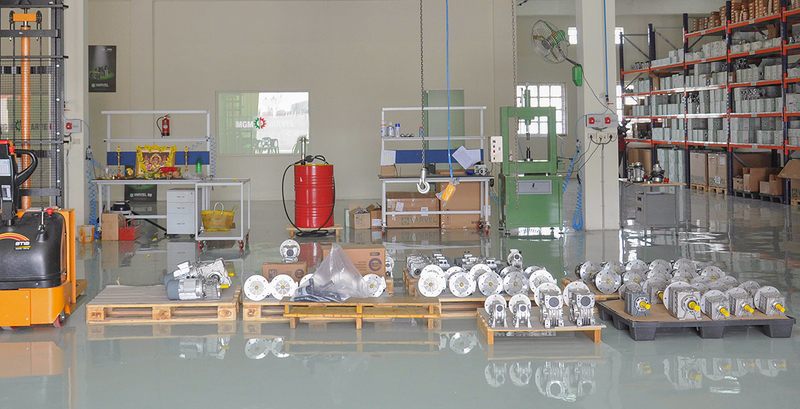 MGM-Varvel’s base in Chennai, a large industrial town in the south east of the India, serves both as assembly centre for the gearboxes and motors imported from Italy and as a strategic logistic centre for the distribution of products throughout India. In order to integrate Italian products into the Indian economy as effectively as possible, local professionals have been employed to run the joint venture’s functions since its formation. The company’s management, technical office, accounts and sales force are rigorously Indian.